I've got a slightly weird way of breaking in my shoes. See, what I do is put on my brand spanking-new shoes, make sure my door is shut, pump up the music and dance. Hip hop, house, whatever I feel like. And yes, each time, I hope no one's caught me. 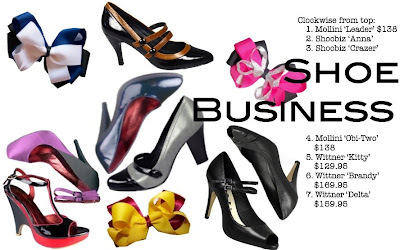 Images courtesy of Wittner Shoes Australia, Mollini and Shoobiz.